As a Beauty Therapy Teacher with over 25 years experience in the industry, Deborah Mitchell developed her own range of natural and organic skincare treatments and founded the Heaven Skincare business. 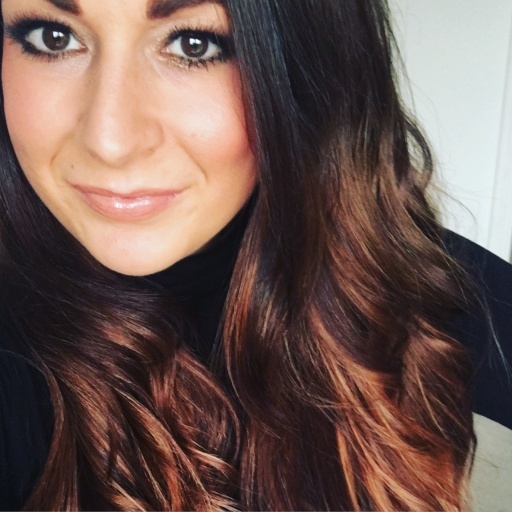 With her knowledge of ancient herbal remedies and passion for beautiful skin Deborah really does put her heart and soul into all of her products, which has resulted in her owning a multi million pound global business and becoming a highly coveted facialist to the stars. You may have recently seen Deborah and her flagship Heaven Salon featured on ITV Be’s Spa Wars, however her professional Heaven skincare treatment’s can be found in spas and salon’s all over the world including the Waldorf Astoria (Dubai), the Club and Spa (Birmingham) and the Grand Brighton Spa (Brighton). 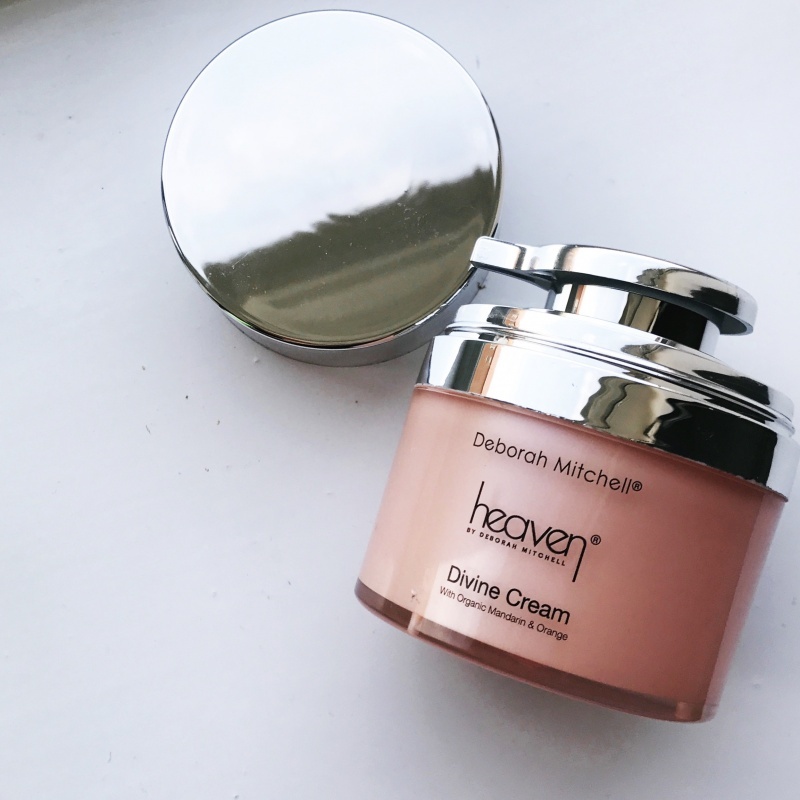 Heaven Skincare by Deborah Mitchell Divine Cream is part of Heaven’s bestselling range and contains witch hazel, lavender, mandarin and orange essential oils, soya oil extract, Vitamins A and E and silk proteins. Witch hazel and lavender help to gently unclog pores and deal with any annoying skin flare ups, whilst the mandarin and orange essential oils help to pack the skin with naturally occurring vitamin C leaving it brightened and more radiant. Its high potency formula is designed to repair damaged skin and increase collagen and elastin levels, making it the perfect product for anti ageing. It is suitable for all ages and skin types, however it is especially good for pigmentation, acne scarring and removing the skin’s hard crunch layer after sun damage. 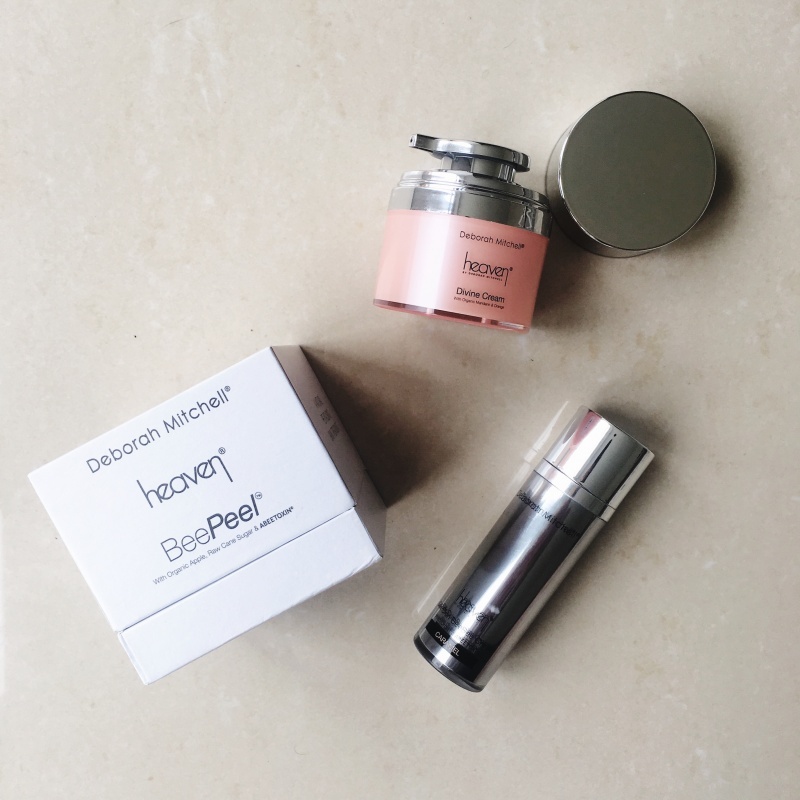 I have used various Heaven Skincare by Deborah Mitchell products since starting my blog and I really am yet to be disappointed by one. I found this Divine Cream to have a rich but lightweight textue which absorbed really easily. It was neither too light nor too heavy and seemed to be the perfect product for my shiny oil prone skin. Subtle and in no way overbearing, its light fruity fragrance is the perfect wake me up in a morning and wind down on an evening. I was definitely disappointed when it ran out! I also loved that it came in really simple, sleek packaging with a pump dispenser to prevent cross contamination of the product. You can buy the Divine cream from the Heaven Skincare website and it comes in three different sizes; 50ml prized at £64.00, 15ml prized at £28.00 and 5ml prized at £7.50. I got the 50ml pot (which is the largest pot Heaven do) and this lasted me a good couple of months, which when using morning and evening I thought made it great value for money. If I were to buy separate day and night creams then I would easily spend the same amount, if not more. The 5ml pot is obviously great if you would like to try Heaven out but do not want to commit to spending £64.00 on a large pot. They do however also sell travel sets which are a great introduction to a few products in the Heaven range if you are curious (that’s how my love initially got started!). 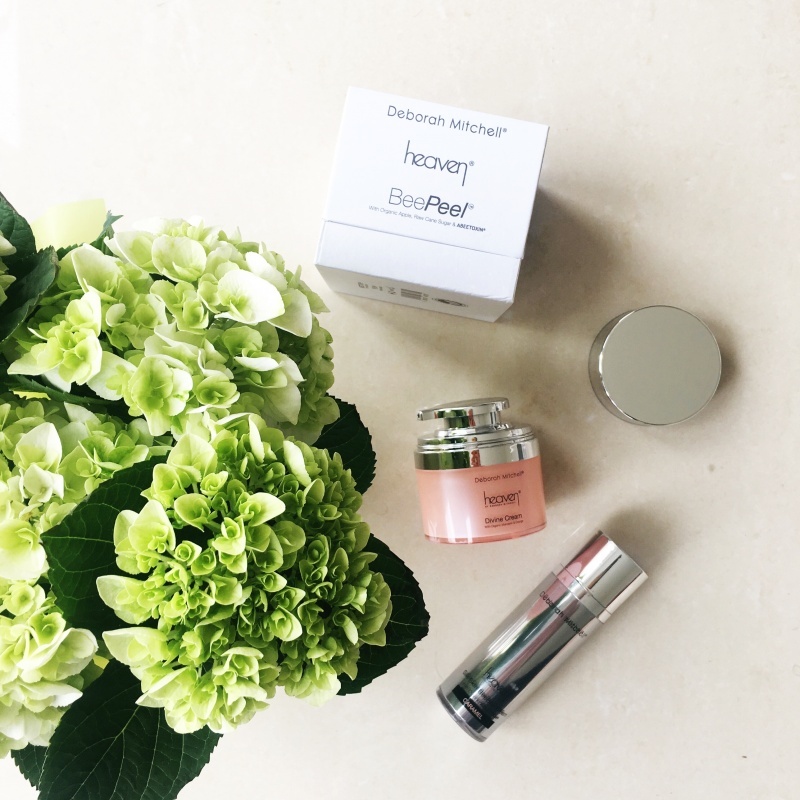 Have you used any Heaven Skincare by Deborah Mitchell products? What did you think? Thank you for this post. I was always curious about the range. Somehow, here in the US I don’t really come across many mentions of it..I’ll have a look at the travel sizes to start.. I live in NYC and order mine direct from the UK through Skincare Organics. They’re distributors and I highly recommend both them AND the Heaven line. If you open an account, you’re on the mailing list for special promotions. They ship to the US for a flat rate that’s quite reasonable if you’re stocking up.